The Secrets from Portugal revealed for you to enjoy the best of it! 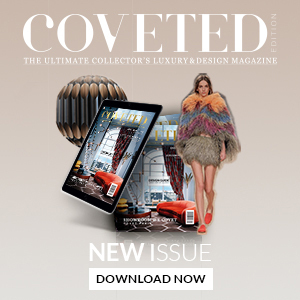 CovetED Magazine has been inspiring everyone for the past couple of years, but now it was time to show us the Secrets from Portugal one part of the world that seems to hold some of the best-kept secrets in the luxury and design worlds. The best restaurants, the amazing luxury hotels, the historical architecture and the traditional arts, everything that you will be able to find on the CovetED Magazine – Secrets from Portugal. SEE ALSO: 2018: 5 TOP INTERIOR LIGHTING DESIGNS! The ultimate guide when it comes to getting to the right places in the right time, Secrets From Portugal is here to make you find all the secrets from this cozy corner in Europe – where to eat, where to sleep, where to go. Always with a brand stamp! On a mission to provide the very best of the places when it comes to the world of design, luxury, craftsmanship, restaurants, hotels, and gastronomy, the very first issue is something that you can not miss out on. The place to find inspiration and learn all about the very finest of Portugal’s luxury heritage. One thing is for sure, as you browse through the pages you will find a lot of info on historical architecture that makes Portugal’s landscape, as well as some of the most incredible restaurants in Portugal. Traditional arts celebrated across the country and its craftsmanship heritage are also celebrated in the pages of Secrets from Portugal, as design and the importance of these arts couldn’t be left out of this very first issue.